A Road by Any Other Name ~ Jane Austen Takes Over Worthing! Visitors to a new Worthing housing estate are in for a literary experience. 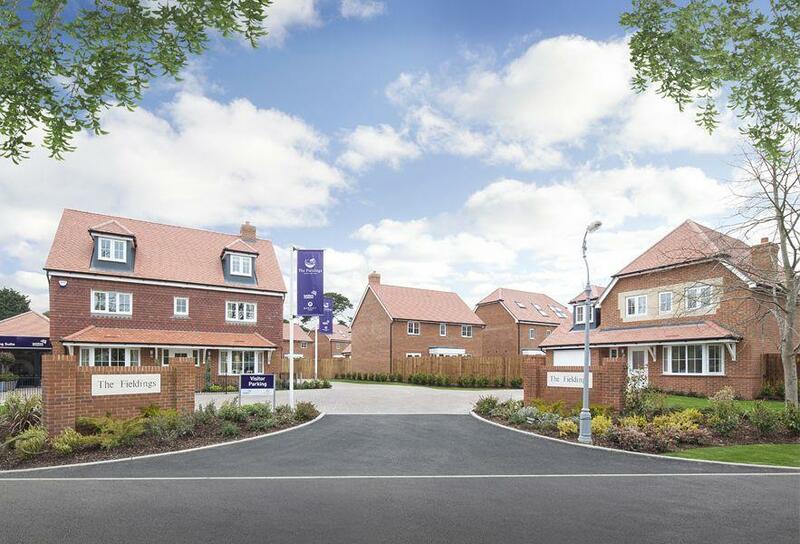 Three streets at the Barratt Homes development, The Fieldings have been given names connected to celebrated author Jane Austen. Austen found inspiration for many scenes and characters in her final and unfinished novel Sanditon when she visited the town in 1805. Society members and descendants of the author gathered in Worthing to mark the unveiling. One wonders with “The Fieldings” so named if there might also be a Joseph Andrews Avenue or a Tom Jones Junction, or how about Bow Street Runners Boulevard … even Jane Austen would like that I think! You might recall last year’s efforts regarding the Library Passage in Worthing: this street naming is a partial result of the JAS’s hopes to have some recognition of Jane Austen in the area. There is more to come in a future post from Chris Sandrawich, so stay-tuned, and on your next trek to England be sure to put Worthing on your itinerary; better yet, buy a home here at Chawton Gate! This entry was posted in Great Britain - History, Jane Austen, Jane Austen Popular Culture, News, Travel and tagged Barratt Homes, Chris Sandrawich, Jane Austen, Jane Austen Society - Midlands Branch, Sanditon, The Fieldings, Worthing. Bookmark the permalink. Great news to hear about Worthing. Naming Streets after places connected with Jane Austen and characters from her novels is a stroke of genius. It has brought the worlds focus to one of the seaside towns between Chichester and Brighton. Worthing, Bognor Regis, Littlehampton and Shoreham are probably amongst the sleepiest places in England. The most exciting weekly event is Bingo night at one of their once palatial cinemas, and of course a weekly visit to the local library to change the last Barbara Cartland for the next well thumbed Barbara Cartland. Watching another rerun of Dads Army on TV is nightly entertainment. But now it can add the murmurings and stirrings of a new Jane Austen Society, I presume, to take full benefit of Worthing’s connections with the illustrious author. Worthing, Bognor Regis, Littlehampton and Shoreham are renowned for their high populations of old aged pensioners; those of 65 years and older. You see the lovely dears walking or staggering along with zimmer frames. Some drive mobility scooters with imaginings of a once youthful and daring Stirling Moss perhaps. They go, purring along the promenades. Bovril and Horlicks are the drinks of choice. Long live Worthing!!!! Oh damn, another one gone. Call the undertakers. Must admit, the new housing estate is looking spanking new in it’s 1930’s style!!! What is Worthing coming to? 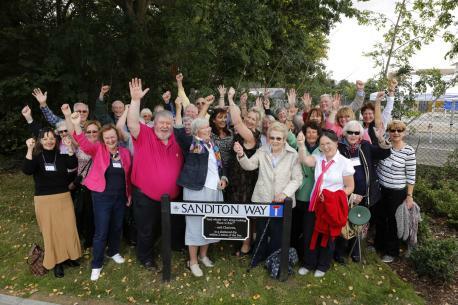 Just noticed in the picture above that Sanditon Way is a cul de sac!!!!! !